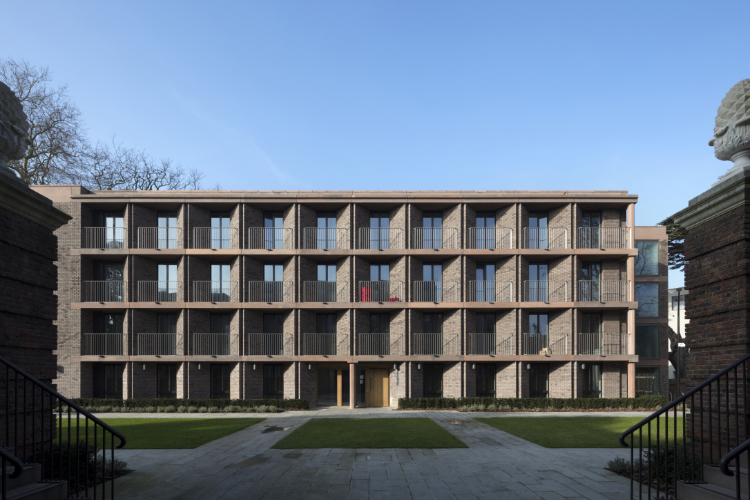 Henley Halebrown’s Chadwick Hall project comprising of three residential halls for the University of Roehampton (London) has made the Royal Institution of British Architects’ (RIBA) Stirling Prize 2018 shortlist. 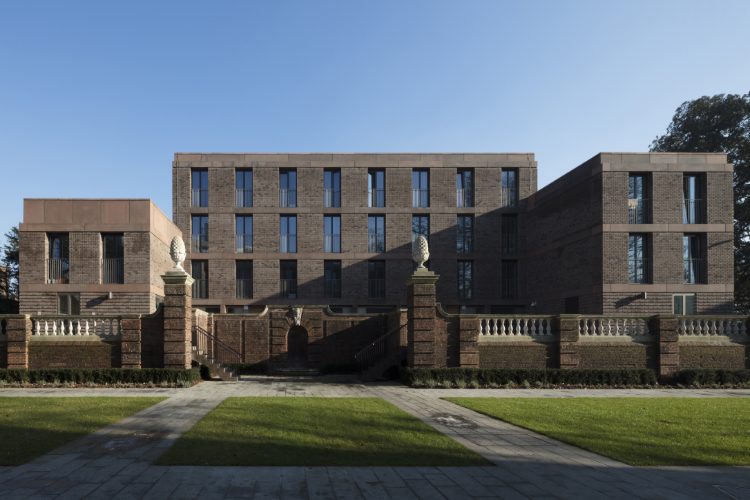 The Prize is awarded annually to the best building in the UK. The Stirling Prize is judged against a range of criteria including design vision and capacity to stimulate, engage and delight occupants and visitors. 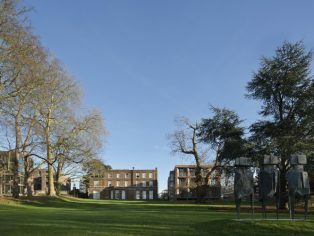 Chadwick Hall is made up of three residential halls for the University located in southwest London. They are situated next to the site where “The Watchers”, a three-part Grade II listed bronze sculpture by Lynn Chadwick (1914-2003) that was recently reinstated (one of the three pieces was stolen in 2006). 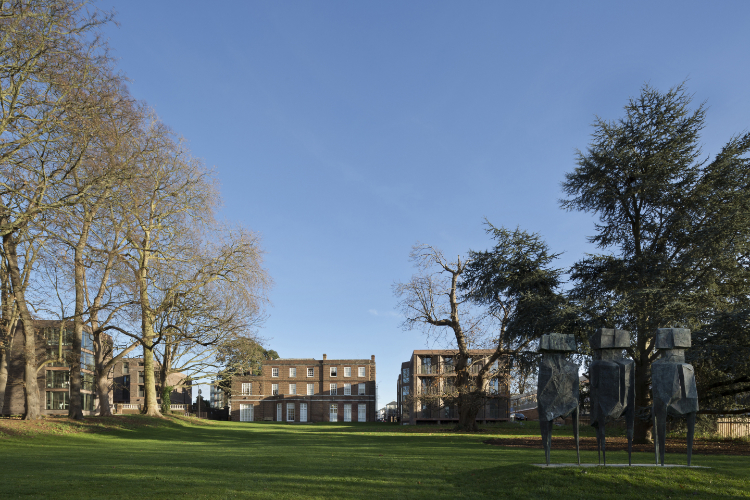 The design of three residential halls is a poetic response to the existing architectural setting of the Roehampton campus. This includes fine Georgian buildings as well as much feted post-war municipal housing by London LCC Architects Department. “In both plan and elevation these two historic precedents inform our approach. We were particularly inspired by the way in which the existing buildings – both old and more recent – are designed within an informal English garden-like context. 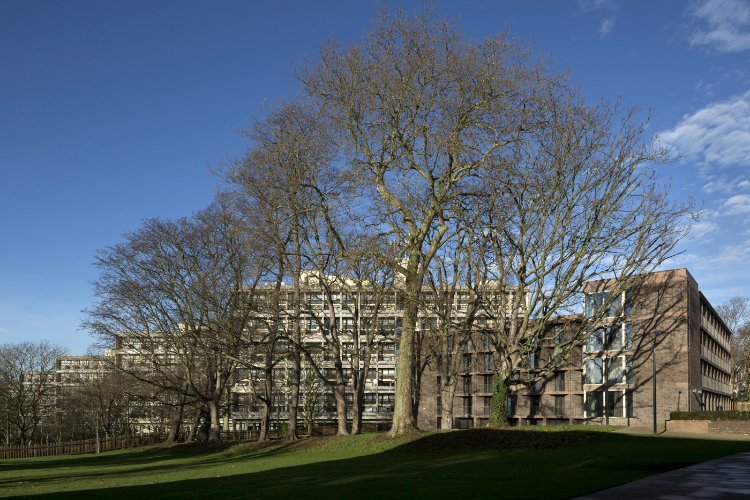 Last year, Chadwick Hall was featured in Simon Henley’s book “Redefining Brutalism” published by the RIBA and in the Swiss publisher Quart Verlag’s De aedibus series Volume 15 focussing on Henley Halebrown’s work. The project was presented with the Wandsworth Mayor’s 2017 Design Award.